I did it. I can’t deny it. I think I actually hit rock bottom a day ago. In one of my last posts I talked about how run-down I felt. 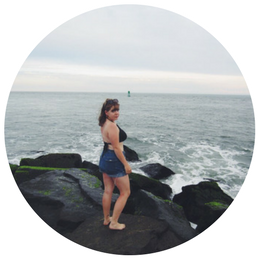 I had no energy, I felt disgusting [just in time for #nationaldoughnutday, lol], and I was mentally exhausted. The next morning, I realized something had to change. So I set out on a mission to re-fuel, re-energize, and re-orient myself for the day, taking in all of the “productivity” hacks I’ve collected throughout the years and just try to set out and do what I needed to do. One of my all-time favourite books, The Productivity Project by Chris Bailey [I can’t praise this book highly enough], notes that productivity is not a measure of how we can get the most done, but rather, how much we can get done that we actually set out to do in the first place. I had to babysit that day, so that would take up a fair amount of my time. But while the amazing baby was sleeping, I sat down and pressed “go” on a bunch of buttons I’d been waiting around to push. 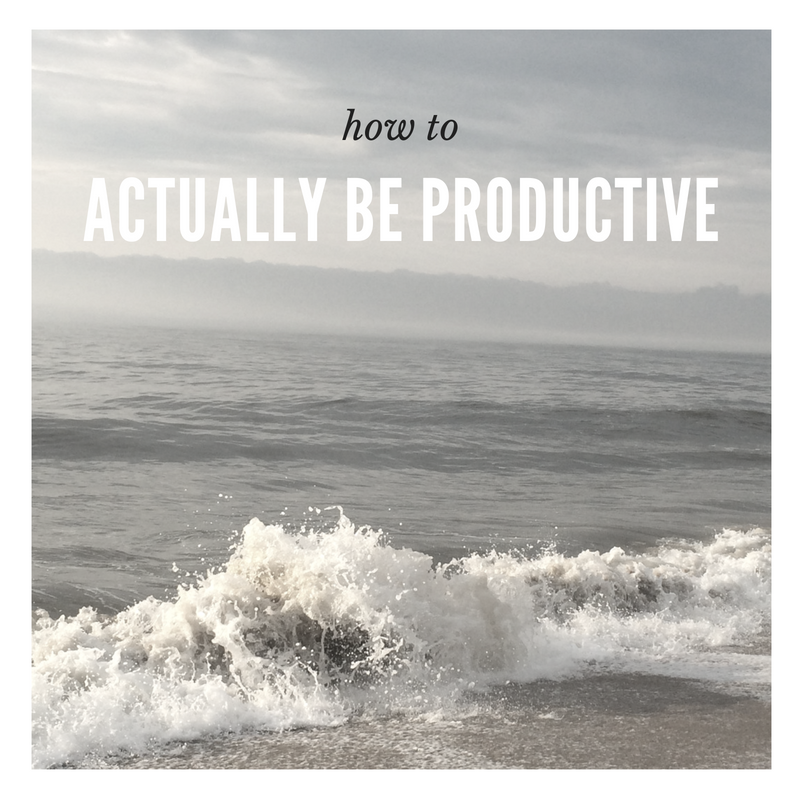 I know there’s TONS of productivity tips out there– it’s almost overwhelming, and sometimes it’s almost too easy to get lost in just reading about all this productivity instead of actually doing something about it! So. Without further ado, these, I find, are my favourite tips that I’ve been able to put into practice successfully, and will continue to do today because boyyyy do I have a lot of work to catch up on! //MAKE A LIST. A realistic one. Before you set out to do what you wanna do, make a list. From what I’ve read, it’s recommended that you only have 5 things on the list– this is so you don’t get overwhelmed by a list that’s longer than your arm. It’s okay to take baby steps. Remember, productivity is all about getting done what you set out to do. And checking off 5 reasonable tasks is a whole lot easier than attempting 10 bigger ones. That being said, if you finish all 5, make another 5-item list, and keep chuggin, man! // TURN OFF YOUR PHONE. Or at least put it on “Do Not Disturb”. I like to put mine off, or on do not disturb across the room from me, so I’m not tempted. All that buzzing and notification noise for who last liked my Instagram post is just going to derail the productivity train. //GET COMFORTABLE. This includes settling into a comfortable chair, bed, etc. Also do not forget the importance of good posture and hand position [especially when your work often involves your hands slaving over a keyboard, like mine does!] It’s a lot easier to focus once you know you’re physically well taken care of and you’ll be able to stay at it a lot easier. //DRINK WATER. All day, preferably. Have it next to you and sip often. Your brain needs it to function. As I type, I’m drinking coffee. You can also drink coffee, don’t get me wrong! I am a coffee lover from way back but always make sure to sandwich the coffee break with a water break! //MUSIC. This one’s a bit of a hit-or-miss for me– some days I’m feeling it, sometimes I’m not. But when I AM FEELING IT NOW MR. KRABS am feeling it, I try to stick to something that I can have passively play in the background. Unfortunately, this rules out discovery playlists on Spotify, unfamiliar songs, and stuff that’s super lyric-heavy. I can do classical music [that’s gotten me through MANY finals studying sessions!] and I can do some music with lyrics as long as it’s stuff I’m familiar with and can kind of tune out easily. Don’t get me wrong, I am a HUGE proponent of active listening, especially because I love being mindful about what is going into my ears but sometimes I just need noise. And, if music’s not your thing, no problem! There’s this nifty site called “Coffitivity” that literally just lets you play background noises/buzz from inside a coffee shop. Pretty awesome, right? //EXERCISE! The first thing I did when I woke up besides getting dressed? I went for a run. After being almost a week out of commission I decided I needed to be active and pronto. I finished about 3.11 miles and felt deliciously sore afterwards, and didn’t feel my usual afternoon-sluggishness later! It’s really true what they say, that baffling mystery about how exercising actually gives you more energy. Weird. Gonna keep doing this one, even if I only go for a brisk walk or do some pushups in my room. Anything that gets the blood pumping is worth it. //TAKE BREAKS. Oof, I’m low-key the worst at this one because I: A) forget to plan breaks into my work regimen OR B) take my breaks for faaaaaaaaaarrr too long lol this post was supposed to happen during a break and it’s taking me a bit longer than expected but it’s fine cuz this is truth that needs to be SPOKEN amirite? But honestly, it’s a lot easier to sit down and focus your mind when you know you’ve got a break coming up wherein you can satisfy your cravings. My breaks include eating sourpatch, doing personal things [like blogging or educating myself on the importance of SEO, taking a sketch/design break, getting a real food snack, a nap, stretching, etc.] ALSO IMPORTANT: give your hands a break. Right now, I can feel my left wrist is a bit tense from typing this post so intensely! Be kind to your hands and give them a break as well when you take a break. It’s hard because I’m really stubborn and often have to try things before I realize their value, but these are the things that I find help me the most and my productivity throughout my work day, and I hope they do the same for you! I challenge you to try at least one of these [the water one is definitely probably my recommendation (; ] today and see what happens. Or you could also take a break and go order The Productivity Project off Amazon for like, $12.